The Bavarian Alps rank as one of the most scenic places in all of Central Europe. This is where stereotypes of lederhosen, dirndl, bratwurst and glistening alpine peaks come true. It’s a rural area with abundant wildlife, glacial lakes and thick fir tree forests. Traditions are still very strong and Pope Benedict was born in this region. 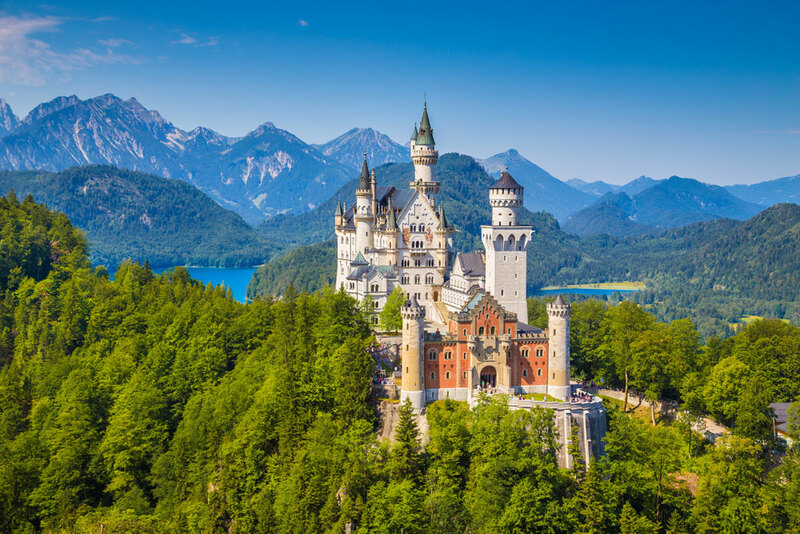 Top attractions are the towns of Dinkelsbühl and Nördlingen; Ettal Monastery; Linderhof Castle; Neuschwanstein Castle, constructed by King Ludwig II in a fairytale setting above the village of Füssen; Zugspitze, Germany’s highest mountain at nearly 3,000 meters with views of some 400 Alpine peaks; Lake Chiemsee and its islands Fraueninsel (Women’s Island) and Herreninsel (Men’s Island), on which is located the royal complex Herrenchiemsee; and Oberammergau, world famous for the Passion Play staged every 10 years (next performance 2020). 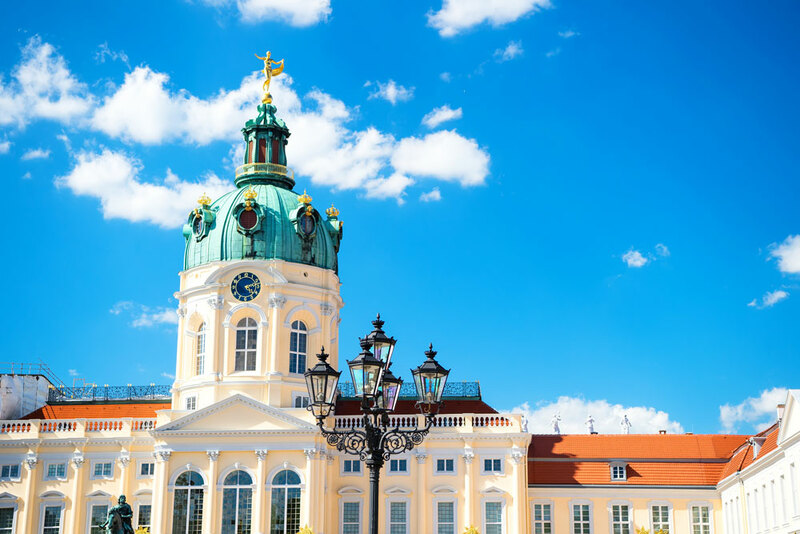 Germany’s capital dates to the 13th century. Reminders of the city's turbulent 20th century history include the Holocaust Memorial and remains of the Berlin Wall. The 18th century Brandenburg Gate has become a symbol of reunification. The city's also known for its art scene and modern landmarks like the gold-colored, swoop-roofed Berliner Philharmonie. Other highlights are Reichstag (parliament building); Kaiser Wilhelm Memorial Church; the refurbished city center, Gendarnmenmarkt; Alexanderplatz; the famous boulevard “Unter den Linden;” Berlin Cathedral; and Bonhoeffer Museum. 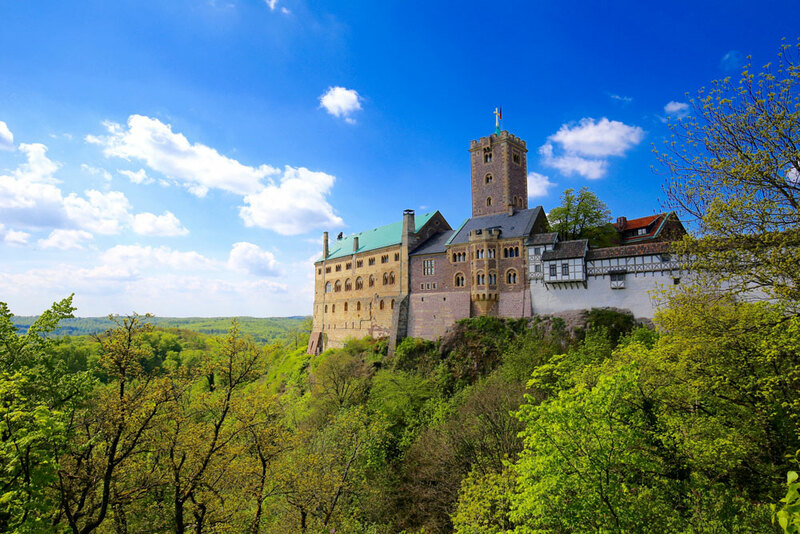 The town sits at the foot of 1,000 year-old Wartburg Castle (UNESCO World Heritage Site), famous as the spot where Martin Luther took refuge after a fake kidnapping staged by his friend and protector, Frederick the Wise and where he translated the New Testament into German in just 11 weeks. The beautifully preserved, half-timbered Lutherhaus, where Luther lived as a teenager, is now a museum. Eisenach is also the birthplace of Johann Sebastian Bach. Bachhaus, a 15th century building near where he was born, is a museum with a collection of antique musical instruments and a Bach-family exhibit. 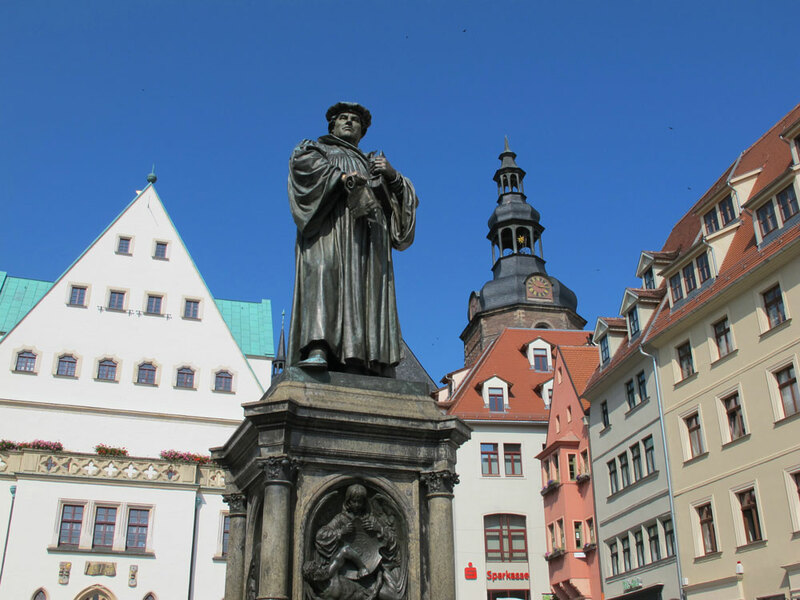 Martin Luther was born and died in this town, leading it to be designated as his Bethlehem and Jerusalem. His "Birth House" and "Death House" are UNESECO World Heritage Sites. Luther was baptized in St. Peter and Paul Church and preached his last sermons at St. Andreas Church, both of which continue in use. St. Anne’s Church and Monastery, an old miner’s church, is famous for the Biblical scenes hewn in stone. 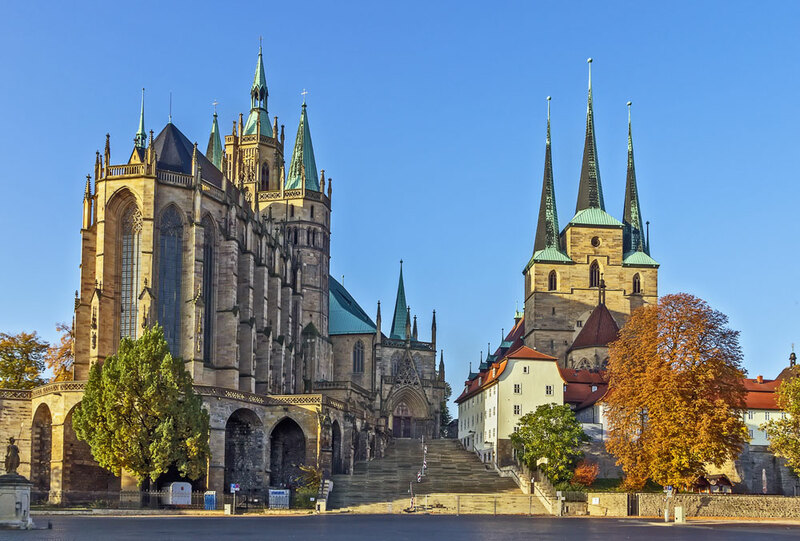 Martin Luther was ordained (and celebrated his first Mass) in St. Mary’s Cathedral (Erfurt Cathedral), dating to the 8th century. Augustinerkloster is the monastery where Martin Luther lived as a monk – his “Cell” is preserved. The Old Town is one of Germany’s most intact medieval cities, surviving World War II with very little damage. Main attractions include Krämerbrücke (Merchants' Bridge) stretching over the Gera River with medieval houses and shops and the ensemble of Erfurt Cathedral, Severikirche (St Severus's Church) and Petersburg Citadel, which combine to make this one of the largest and best-preserved town fortresses in Europe. A city in northern Bavaria distinguished by medieval architecture such as the fortifications and stone towers of its Altstadt (Old Town). The Hauptmarkt (central square) contains the Schöner Brunnen, the gilded “beautiful fountain” with tiers of figures and Frauenkirche, a 14th century Gothic church. Nuremberg is often referred to as having been the “unofficial capital” of the Holy Roman Empire because Imperial Diet (Reichstag) and courts met at Nuremberg Castle, which is comprised of three sections: Imperial Castle (Kaiserburg), Burgraves’ Castle (Burggrafenburg) and the buildings erected by the Imperial City (Reichsstädtische Bauten). 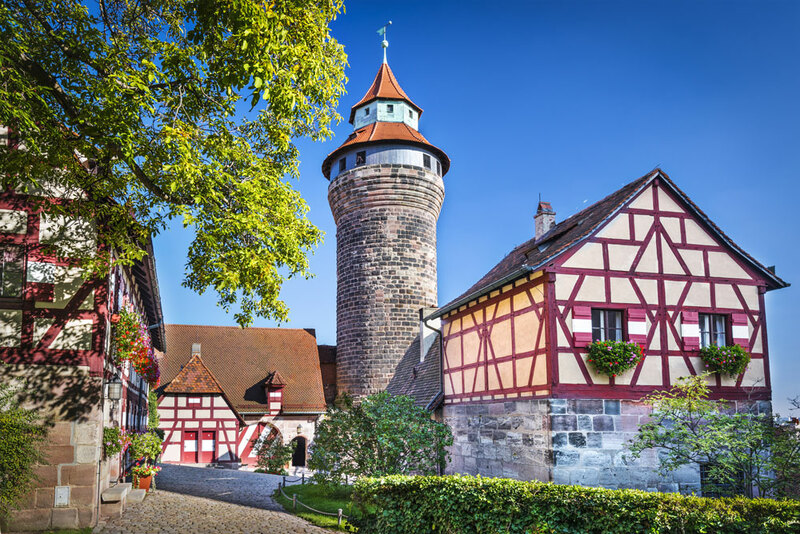 Rothenburg ob der Tauber is the best known of the walled medieval towns on the Romantic Road. Its beautiful buildings, walls and alleys have led it to become one of the most popular tourist destinations in Bavaria. The Rathaus (town hall) is a notable renaissance building with a rear, Gothic part dating from 1250 and an attached front Renaissance construction started in 1572. This building served as the seat of government for the city-state during the medieval ages. The Town Hall Tower of is one of the only accessible towers. The other is Roedertor Tower, containing manuscripts with historical information about the construction and relevant history of the city wall. Wittenberg is a university town along the River Elbe with close ties to Martin Luther, leader of the Protestant Reformation. The Lutherhaus, once a monastery and Luther’s home, is now a museum displaying his personal artifacts and paintings. On the city’s main plaza (Market Square) stands the 13th century Stadtkirche of St. Mary’s, the church where Luther preached. 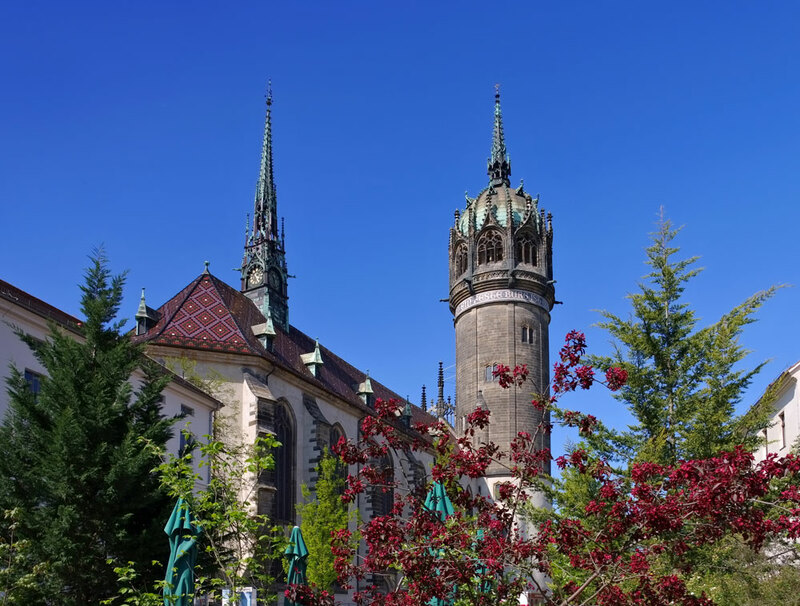 It’s known as the Mother Church of the Reformation as it saw the first celebration of Mass in German rather than Latin and the first ever congregation-wide Communion. All Saints' Church (Castle Church), sometimes referred to the Reformation Memorial Church, is the site where Martin Luther posted the “Ninety-Five Theses” in 1517 and started the Protestant Reformation. Although the church’s original door was destroyed in a fire, a replica of the Theses is magnificently displayed in bronze.